The ever-increasing need for information security requires a constant refinement of contemporary ciphers. One of these are stream ciphers which secure data by utilizing a pseudo-randomly generated binary sequence. Generating a cryptographically secure sequence is not an easy task and requires a Boolean function possessing multiple cryptographic properties. One of the most successful ways of designing these functions is genetic programming. 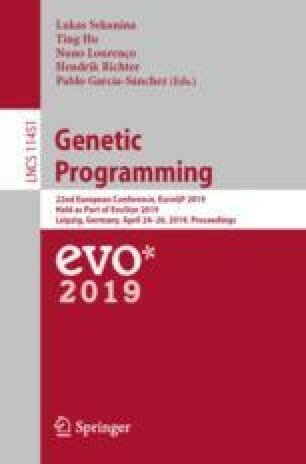 In this paper, we present a comparative study of three genetic programming methods, tree-based, Cartesian and linear, on the task of generating Boolean functions with an even number of inputs possessing good values of nonlinearity, balancedness, correlation immunity, and algebraic degree. Our results provide a comprehensive overview of how genetic programming methods compare when designing functions of different sizes, and we show that linear genetic programming, which has not been used for design of some of these functions before, is the best at dealing with increasing number of inputs, and creates desired functions with better reliability than the commonly used methods. This work was supported by Czech Science Foundation project 19-10137S.